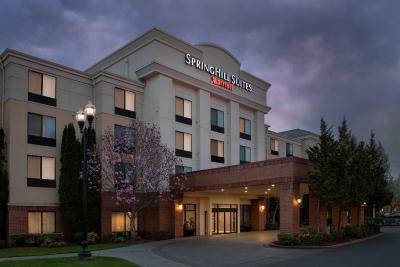 Lock in a great price for SpringHill Suites by Marriott Portland Hillsboro – rated 8.3 by recent guests! The WiFi speed pretty slow. Could not even check official mails in time. It was CLEAN , friendly helpful staff, close to the hospital and everything . Great room layout. Decor was modern and sleek. Breakfast had a lot of good choices and was very tasty. Lovely place to stay. My husband and I were in town for a music festival, it was lovely to come back to a clean room with sofa and little kitchen. Hotel staff was friendly and helpful. Breakfast was great. This was an excellent choice for our needs. We were driving from the coast, and I had business to conduct in Hillsboro before continuing to Portland and points north. The property is conveniently located on Cornell Rd. with easy access to Sunset Highway (Rte 26), across the parking lot from Copper River Restaurant, which was excellent. 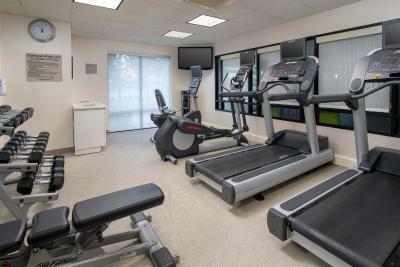 It's close to shopping facilities as well as the local airport. 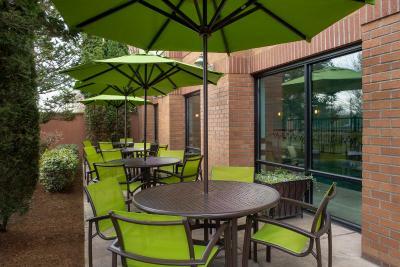 It's modern and clean with sufficient on site parking. 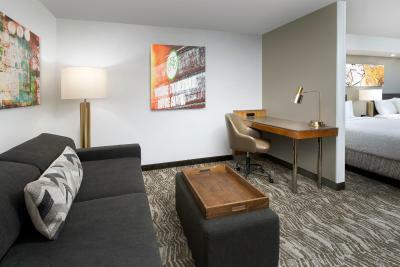 The room was well-equipped and clean with all the amenities and a very comfortable bed. The included breakfast was very good with a diversified selection. Very clean. Great breakfasts selection. Wonderful location. The hotel was clean and tidy. Staff welcomed you as you arrived and were ready to help. Bed was super comfortable. And breakfast was wonderful nice variety. SpringHill Suites by Marriott Portland Hillsboro This rating is a reflection of how the property compares to the industry standard when it comes to price, facilities and services available. It's based on a self-evaluation by the property. Use this rating to help choose your stay! This hotel offers an indoor swimming pool, a hot tub and a 24-hour market. 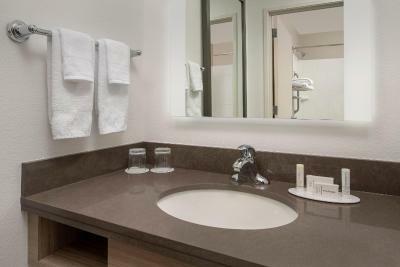 It features modern rooms, and some select rooms have a spa bath. The Reserve Golf Course is 5.3 miles away. 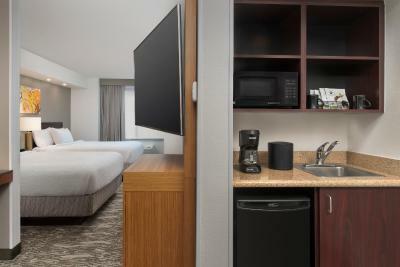 SpringHill Suites have air-conditioned rooms fitted with cable TV, pay-per-view and video games for rent. 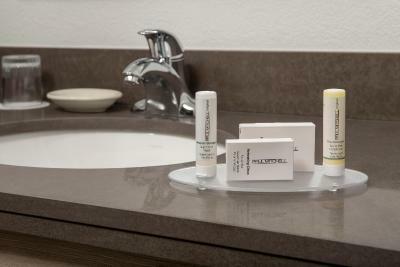 Electrical adapters are available for each guest room. 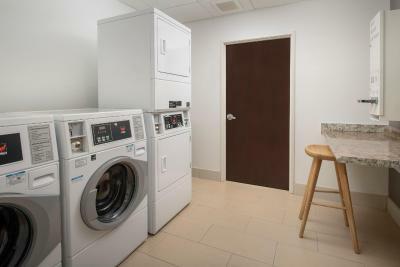 All rooms at SpringHill Suites Portland Hillsboro are serviced daily and the hotel also features on-site laundry facilities. Other services include dry cleaning and overnight delivery service. 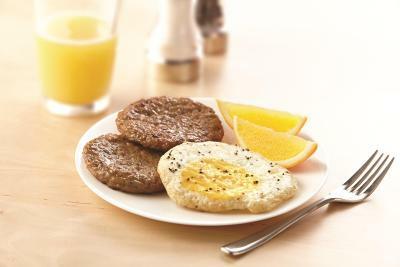 A range of American dishes are served for the complimentary breakfast which includes different types of cooked eggs. 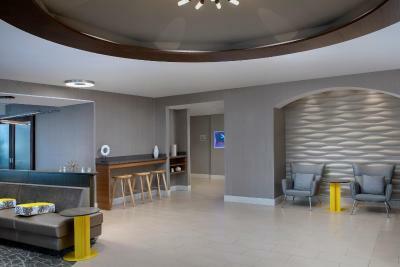 Free coffee is available in the lobby and each room. 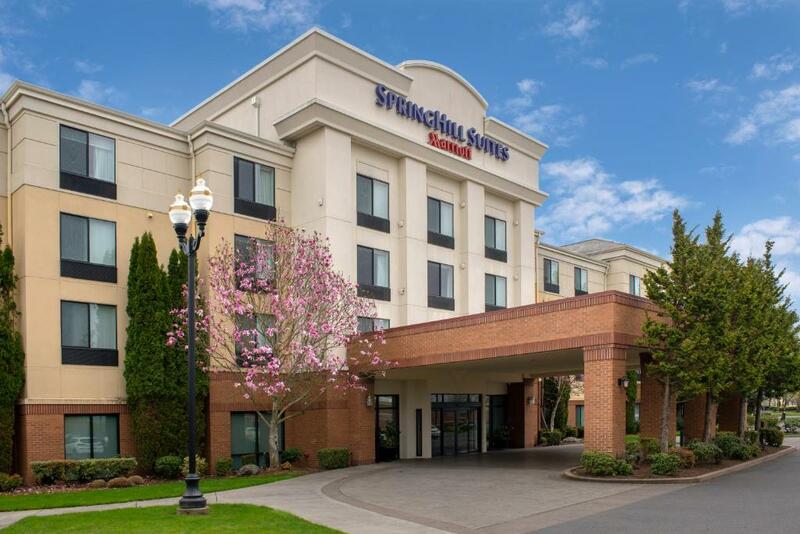 SpringHill Suites Portland Hillsboro is 11 miles away from Oregon Zoo. Portland Japanese Garden is 20 minutes’ drive away. 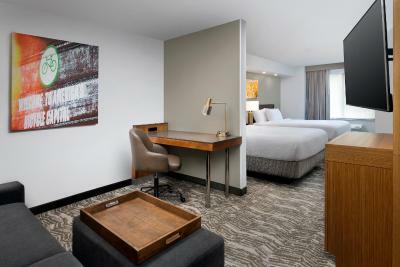 When would you like to stay at SpringHill Suites by Marriott Portland Hillsboro? 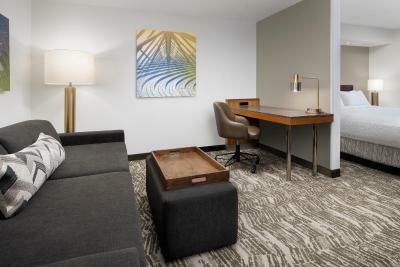 Along with a cable TV, this spacious suite provides a desk, a sitting area and a private bathroom. 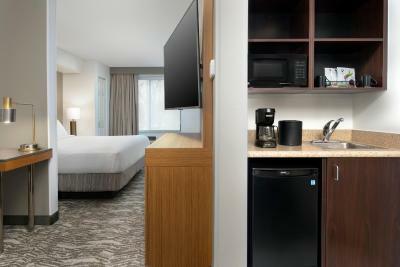 This suite has a kitchenette, microwave and air conditioning. 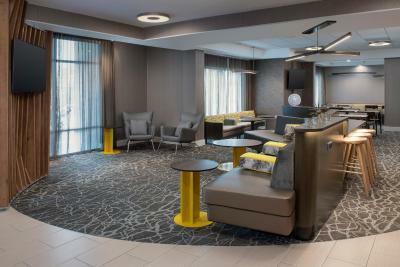 Looking for a hotel with style in Hillsboro, Oregon? 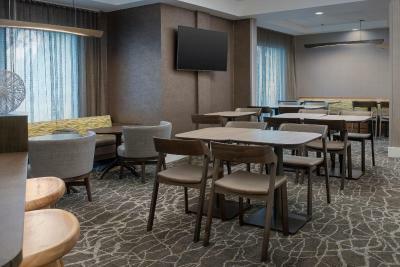 The SpringHill Suites by Marriott – Portland West Hillsboro is an all-suite hotel that seamlessly blends design and functionality for your overnight or extended stay visit. 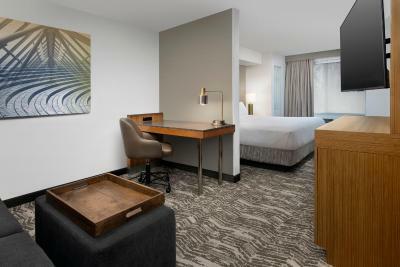 House Rules SpringHill Suites by Marriott Portland Hillsboro takes special requests – add in the next step! 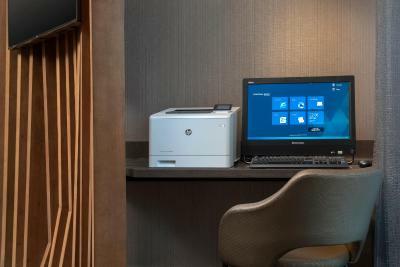 SpringHill Suites by Marriott Portland Hillsboro accepts these cards and reserves the right to temporarily hold an amount prior to arrival. The pool is way too cold of water and it’s so loud in the poolroom. It echoes really bad. The breakfast was pretty bad too. Tiny breakfast area with limited breakfast selection, and a tiny indoor pool. Very clean and warm environment. I asked that the room not be next to the elevator and the young lady which she was new said it was across the elevator in there wouldn't be any noise from the elevator the room was right across from the elevator so every time the elevator stopped at a floor the Bell would ping. No other rooms available. The front desk person was very rude when I asked if there were any rooms available before the 3pm check in time. I'm a single mom of 2 boys and had been traveling all morning. 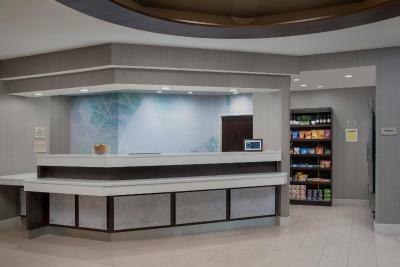 It was disappointing that an early check in wasn't considered as it advertised "24 hour front desk. Check in anytime". When I came back to check in later, the front desk person, now a different person, made some awkward and uncomfortable comments about my son who has Autism. We felt very uncomfortable. It was unfortunate that the first two faces I saw and interacted with, were sub par and clearly not focused on customer service. The breakfast area should have been alittle bigger and more staff so that there were more food and less waiting for more food to come. leaking bathroom. Hotel collegue come to our room because the bathroom is leaking to the first floor,which is their restaurant. During my wife and my daughter were using the bathroom. : ( and after they checked the bathroom , they said i is not our bathroom which is leaking to the first floor. Many people are holding a party on the first floor and the noise is very loud. we can't go to sleep in the night. it was a very bad experience stay in this hotel. 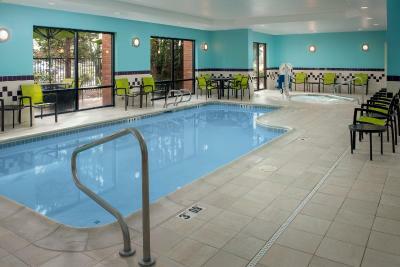 We booked specifically (just the day before) for the pool and hottub, but upon arrival the hottub was closed. The breakfast was good quality and selection but the area was extremely crowded and difficult to get through. Good breakfast selection ans very friendly person at the front desk. Poor value. Prices way too expensive for what was delivered. Average rooms at Ferrari prices. There was.nothing to dislike . 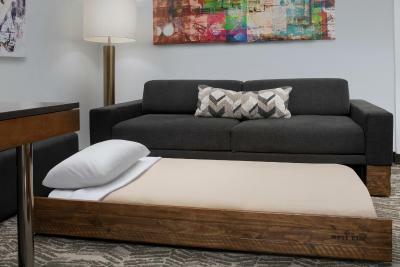 Comgortable stay, but need more electrical outlets in the room.